A terrace of 2-3 storey properties located between Bradbury Place and Albion Lane (full descriptions below). 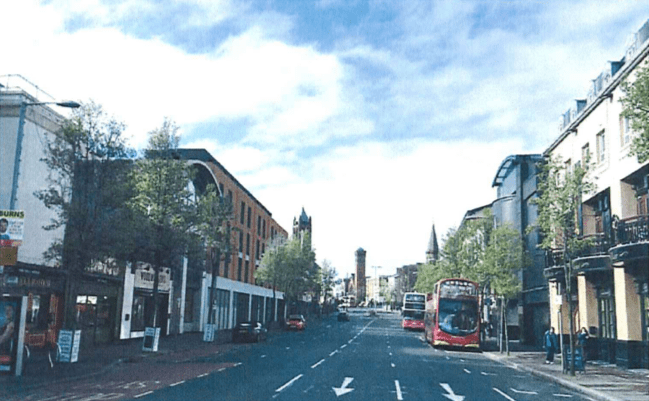 Rojem Properties Belfast Ltd and Rapport Architects submitted a planning application (LA04/2016/0900/F) in April 2016 proposing to develop a 6 – 11 storey purpose-built managed student accommodation building comprising 271no. studio bedrooms. 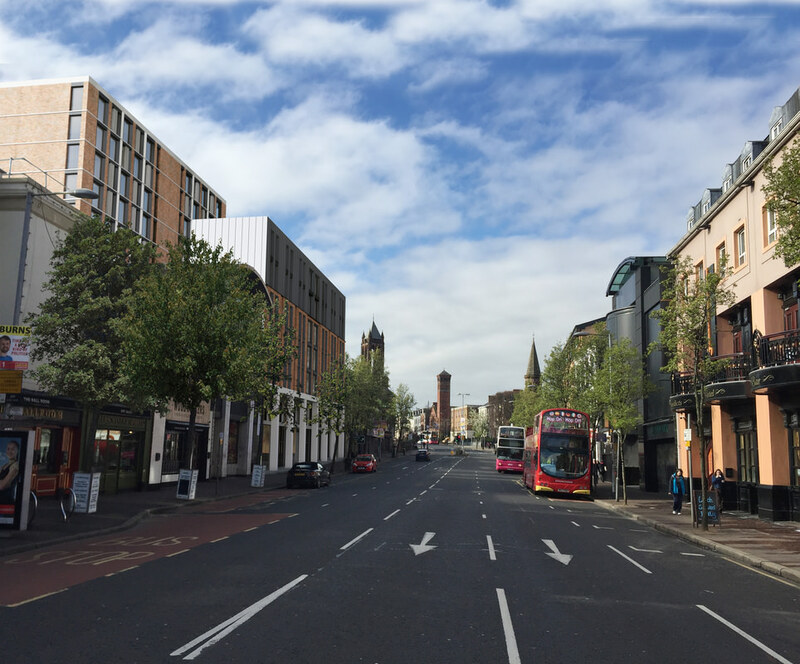 The application was amended in September 2016 to propose a 6 – 9 storey purpose-built managed student accommodation building comprising 220no. studio bedrooms. This application was refused in November 2016. 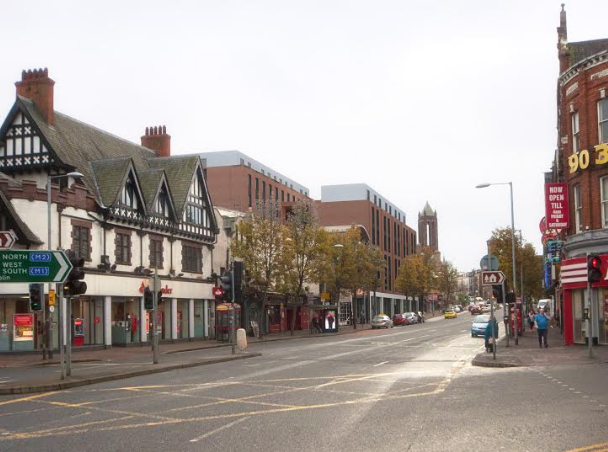 Rojem Properties Belfast Ltd and Rapport Architects submitted a revised planning application (LA04/2017/2753/F) in December 2017 proposing to develop a 6 – 8 storey purpose-built managed student accommodation building comprising 112no. en-suite cluster bedrooms and 73no. studios over a ground floor reception, retail unit, car parking and cycle storage. 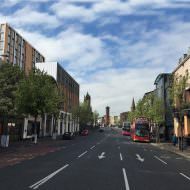 The application was amended in December 2018 to reduce the height of the building to 5 storeys at Bradbury Place and 6 storeys at Albion Lane. 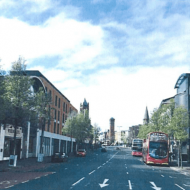 The revised scheme proposes 100no. en-suite cluster bedrooms and 56no. studios (156 total) over ground floor retail. Nos. 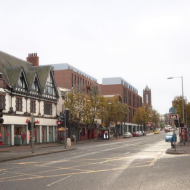 30 – 34: A vacant 4,350 ft2 restaurant building previously let to Bishops. The building is one-storey to the street and three-storey behind. The rear three storey building was built c1850 and the front section was built c1900. No. 36: A 1,500 ft2 hot-food takeaway unit within a one-storey building. The rear three-storey building is vacant. The rear three storey building was built in the early 1800s and the front section was built c1900. No. 38: A 1,500 ft2 hot-food takeaway unit within a one-storey building. The rear three-storey building is vacant. The rear three storey building was built in the early 1800s and the front section was built c1900. Nos. 40 – 42: A three-storey building extending to 3,300 ft2. Designed by Isherwood & Ellis for Tom Caldwell Gallery and built 1991. No. 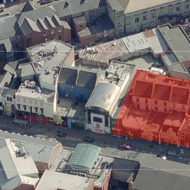 44: A vacant two-storey building extending to 2,500 ft2. Designed by architect Derek White and built 1989.